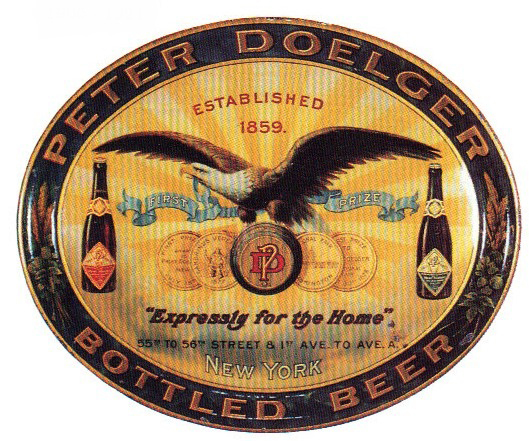 Serving Tray for Peter Doelger Bottled Beer from The New York Brewery. The center shows an eagle with a barrel of the company’s brew and four gold coins under. Two bottles of the company’s brew sits on either side of the eagle.